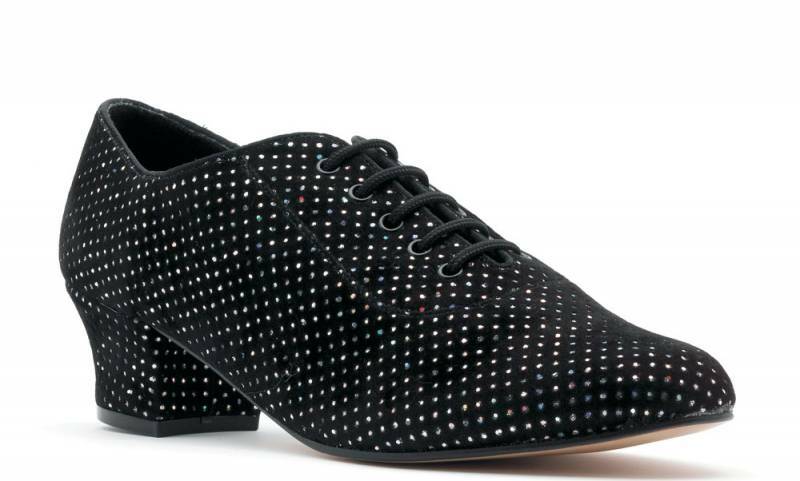 Beautiful shoes, excellent quality and value, just wonderful to dance in. These lovely shoes came highly recommended to me by a friend, we have since purchased a few pairs for other friends too. We all wear them with pride & feel very special. Excellent service and delivery. Would certainly order again. Lovely shoe exactly what I wanted. Very comfortable I shall look forward to dancing in them. I was told these shoes were out of stock but I still received them within less than a week. They look very good, the finish is much smoother than they look, and they are very comfortable to wear - even the first time. I have recently received my shoes and I am very pleased with them. They were delivered within 24 hours, fit perfectly and look very good. They are very comfortable and I would recommend them to all line dancers. My shoes were delivered very quickly. I am very pleased with them, the quality and looks are excellent. I have worn them three times now and they are very comfortable. Would recommend to others. Just received my shoes. They are very well made, fit well and look beautiful. Can't beat comfort. I'll have no hesitation in ordering from you in the future. Excellent quality combined with supreme comfort. Sizes: 3-9 (no half sizes).